John and Kimber Allen have lived in Lake Tahoe for over 25 years. John worked with his brother-in-law at SERVPRO in Southern California. John’s close relationship with his brother-in-law inspired John to open a franchise in Lake Tahoe. They’ve had this service center for 17 years. 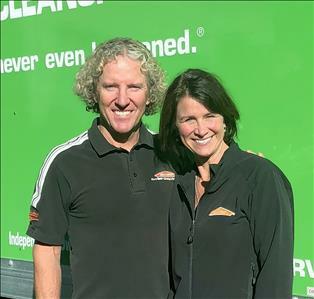 With hearts that “live to give,” SERVPRO allows John, Kimber and family, as well as their SERVPRO team, the opportunity to do just that. They enjoy giving back to the community and encouraging personal growth within their franchise. The Allens added the Lyon & Storey Counties franchise in the summer of 2018. 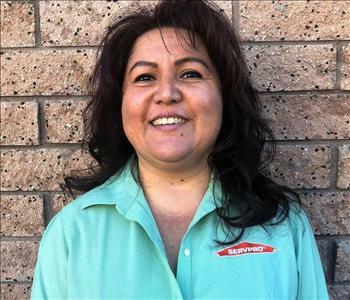 SERVPRO of Lyon & Storey Counties is a full service restoration company, offering complete cleaning and remediation services as well as build-back reconstruction services for water, fire, mold or trauma scene / biohazard events in businesses and homes. The company has broad experience, training, and certifications in disaster restoration for all types of structures in the built environment; from hotels and restaurants, manufacturing operations, office buildings, nursing homes, condominiums and apartments, to single family dwellings. We accept all major credit cards for these services. SERVPRO serves the following communities: Dayton, Mound House, Yerington, Fernley, Smith Valley, Wellington, Virginia City and surrounding areas.